This guide provides faculty with information about library resources and services. 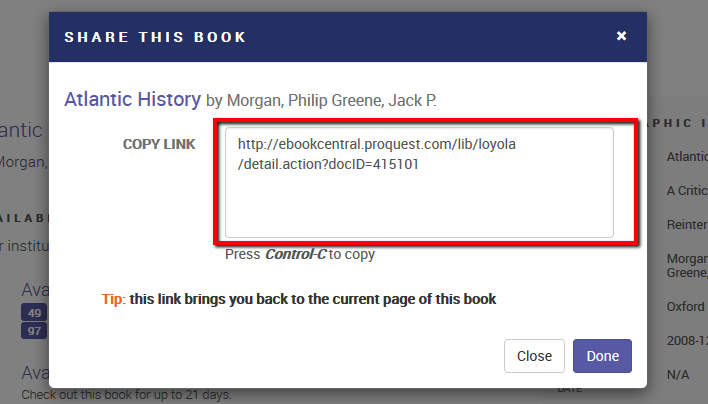 Here's an easy way to add links to library database content into your Moodle/Joule courses. 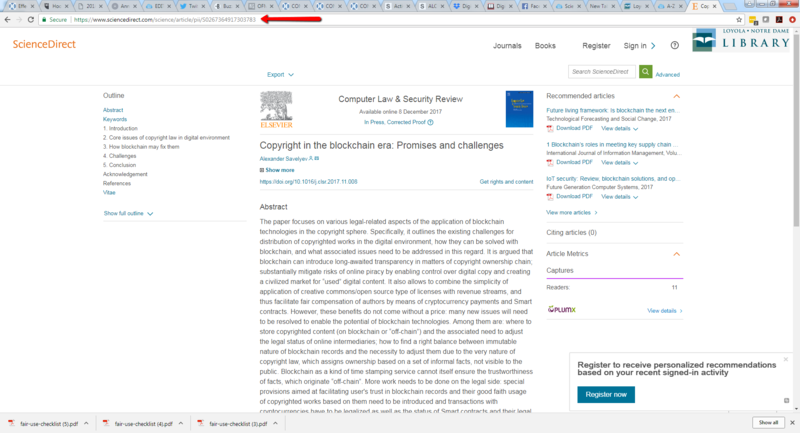 As an added bonus using these links helps keep you in compliance with copyright law and database licenses, as well as provides the library with accurate journal use statistics for renewal decisions in a way that downloading full text articles from databases and then uploading them into your Moodle/Joule courses does not. All databases should provide you with a permanent URL that will link back to the article. You should not use the URL located in your browser bar as this is often a temporary link that will not load properly if you try to reuse it. The following are examples of where you can find the permanent links in some of our most popular databases. If you need assistance finding the permanent link in another database please contact the Research and Instruction desk. Note: Some publications, such as The Harvard Business Review, do not permit us to include permanent links on course management systems without paying an additional fee. Please contact us if you encounter that problem. 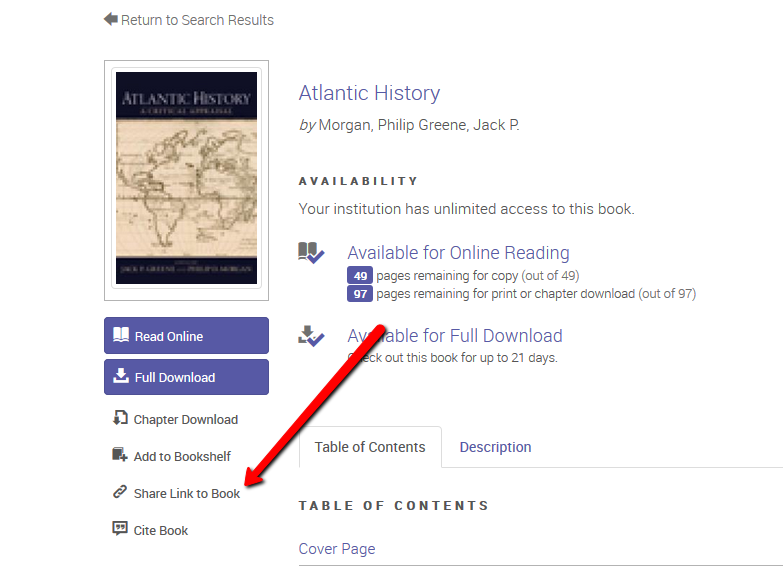 Select Share Link to Book, located on the left-hand side menu. A pop-up window will appear. Copy the link from that window. Once you have copied the link, add LNDL's proxy prefix to make it accessible from off-campus. You can also paste the stable URL into the LNDL Link Creator to automatically have the appropriate link created for you. Click into the full record for the article. Locate the Permalink button in the right hand column. Click on it and the permanlink for the article will appear. Copy and paste it into your Moodle/Joule course. 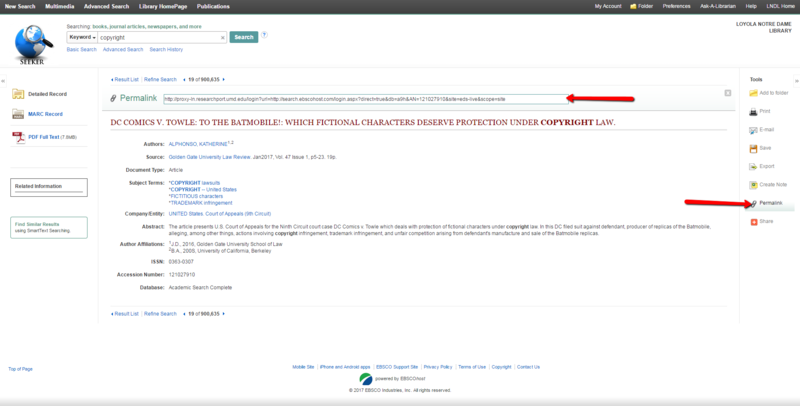 Note: EBSCO will provide permalinks for records that do not contain the full text of an article as well as those that do. Please make sure there is a full-text article available when you link to a record. To locate the permanent links in Films on Demand click the Embed/Link link. You have three options for providing access to videos in Films on Demand. The Record URL directs people to the full video. 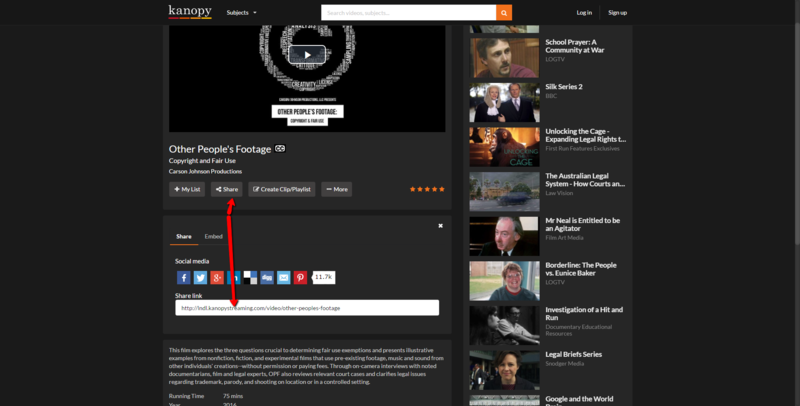 If the video is automatically broken down into smaller segments by Films on Demand (a list of the segments will appear to the right of the video) or if you have used the Segment tool to create your own clips from the video, then you can use the Segment URL to direct people to the segment of the video you want them to watch. 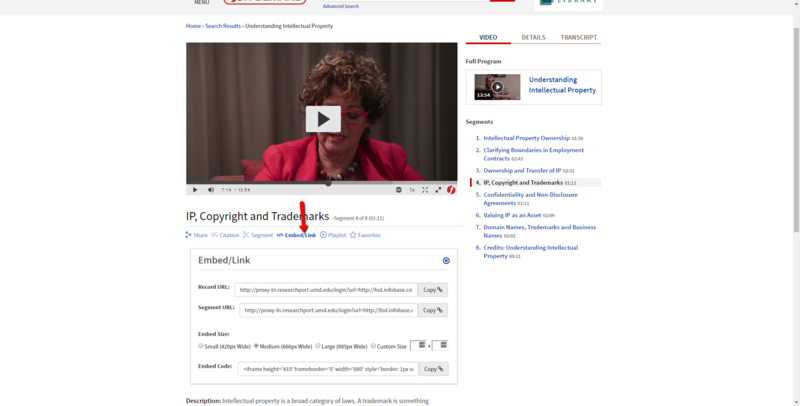 You can embed the video into your Moodle/Joule course by copying and pasting the Embed Code into your course. Locate the bookmark button in the upper right corner. Copy and paste the link located in the bookmark pop-up window. 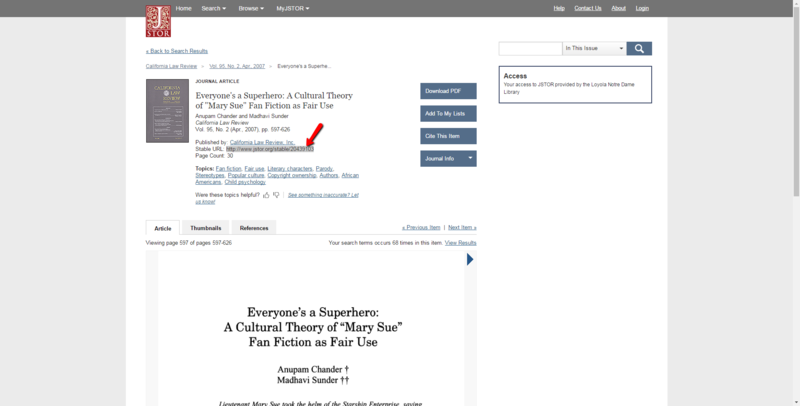 Click into the full record for the article in JSTOR. Locate the Stable URL listed under the title. 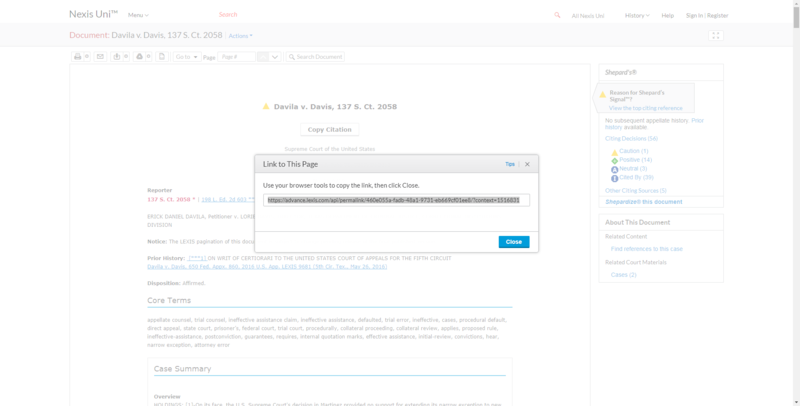 Copy and paste the URL into your Moodle/Joule course. 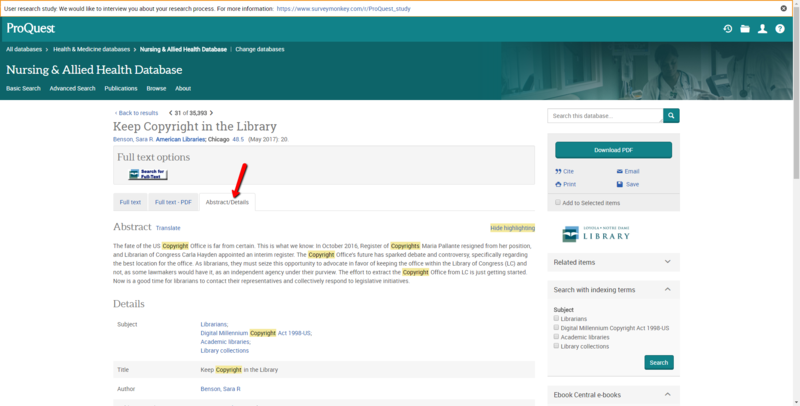 Add the library's proxy prefix to the URL to enable access from both on and off campus. Click on the Share button underneath the video and copy and paste the link that appers into your Moodle/Joule course. Locate the Actions menu and click on it. Select Link to this Page. Copy and paste the displayed link. 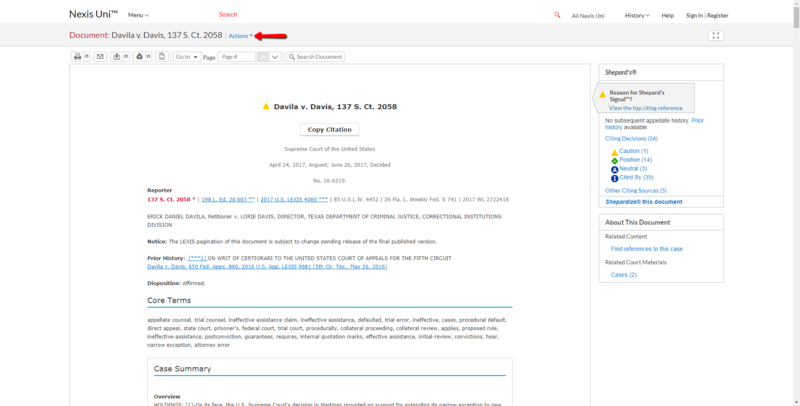 Scroll down towards the bottom of the record and locate the Document URL. Copy and paste this link into your Moodle/Joule course. 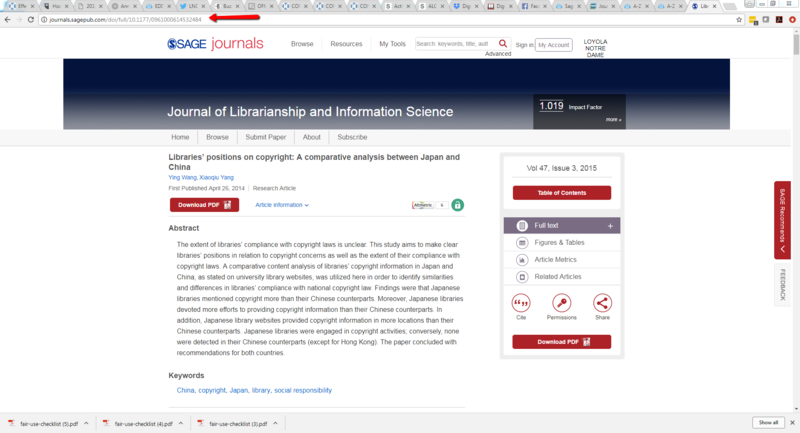 For Sage Journals the url located in you browser bar is the permalink. You can also paste the link into the LNDL Link Creator to automatically have the appropriate link created for you. 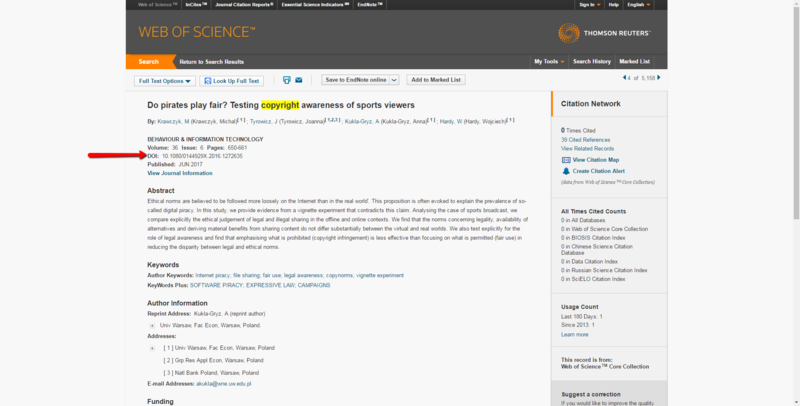 For ScienceDirect the URL in your browser window is a permalink. 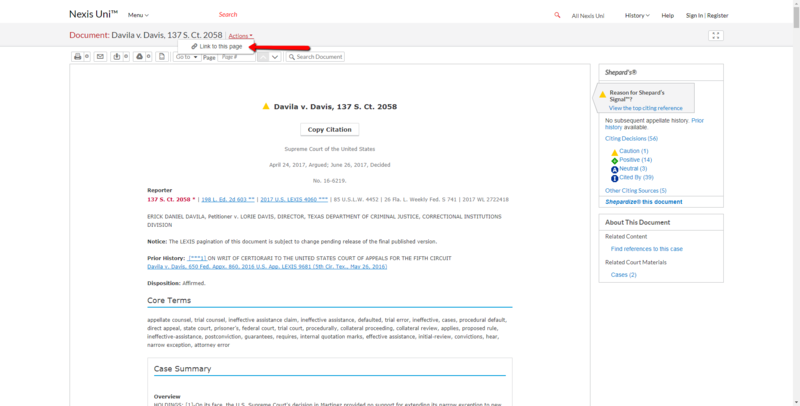 Locate the DOI listed under the title for the article inside the Web of Science database. You will need to add two prefixes to the listed DOI in order to make it work properly. 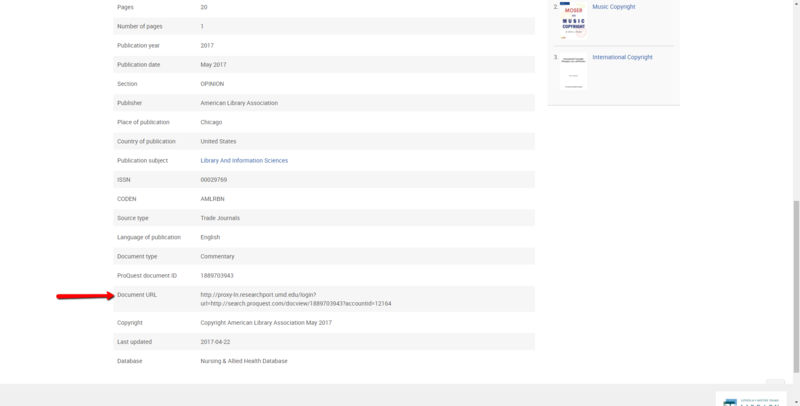 First you need to add the library's proxy information which will authenticate you as someone whose library subscribes to this journal. If you do not add this prefix anyone trying to access the article from off-campus will not be able to do so. Then you will need to add the prefix for the DOI proxy server, which will direct the given DOI to the proper location to access the article. 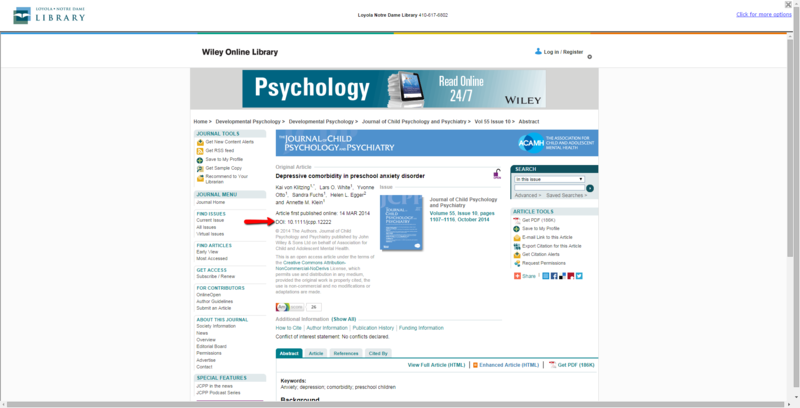 Locate the DOI listed under the title for the article inside the Wiley database.